Orange County Asset Protection Lawyer and CPAWHAT IS ASSET PROTECTION? A better term for this is asset preservation planning or “wealth preservation.” It’s not what you actually own but what you control which is important. The law allows you to build up a defense against liabilities and lawsuits that could occur in the future. The law allows you to limit your risk in various situations. The most common asset protection plan is to form a corporation to conduct a business enterprise. If the corporation is properly maintained, the debts and liabilities of the Corporation are not passed through to the shareholders. In other words, the corporation’s owners (shareholders) are not personally responsible for the corporation’s liabilities. Only the actual money invested by the shareholders in the corporation is at risk and liable to pay the corporation’s debts. For clients with significant assets, whether personal or business related, protecting them and preserving them for future generations is a priority. We provide individualized asset protection services and solutions for individuals, business owners and property owners. Asset protection is a complex field of law and requires special knowledge of the details and strategies most useful, as well as extensive experience handling complex financial matters. The concept of asset protection is to legally re-arrange ownership of assets into legal entities different from your personal name. Not only will transfers assist in maintaining confidentiality but also will protect assets from creditor claims. Each asset protection plan has to be carefully planned and all of the assets and potential claims considered are considered. Below is a general description of what some of the basic possibilities are. Protect personal assets and money from business and practice debts, real estate claims and lawsuits. Instead of owning the money and assets in your own name you instead own shares of stock in a corporation or LLC or other interests. Form one or more legal entities such as a corporation, limited liability company, family limited partnership or permanent trust. Transfer into the entities the business assets, or professional practice assets, or real estate assets which may incur debts, claims and lawsuits. Open bank and securities accounts in the name of the entity. Each entity should stand on its own and have separate accounting records, its own tax id# and file its own income tax returns. Establish more protection by not owning shares of stock or LLC shares in your own name or get the ownership out of California. Achieve some privacy by not having your name appear as the owner in public records. Establish one or more legal entities to be the owners (holding companies) of the legal entities formed in level 1. Thus, maybe form a Delaware LLC to be the owner of the California corporation formed for your business or professional practice. Also, depending upon the assets involved, the legal entities initially set up under level 1 may be incorporated in another State. -There are various other strategies and techniques depending what is involved. Establish one or more legal entities in an offshore jurisdiction such as the Cayman Islands or Cook Islands, Panama or other places with stable laws that protect assets and prohibit banks and trust companies from disclosing ownership. These jurisdictions also would not honor United States court judgments. 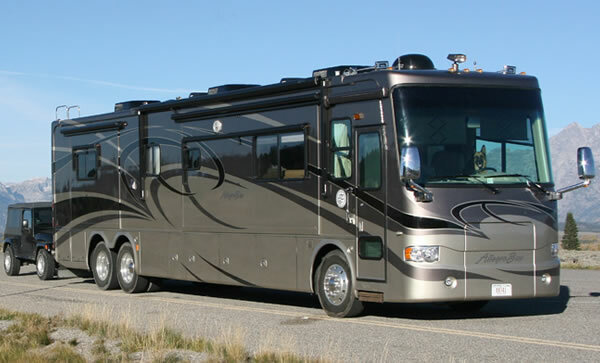 You can be sued under the law against fraudulent conveyance for improper transfers. Any transfer of money or property out of your own name and into an entity needs to have a legitimate business purpose. Protection from personal liability is such a purpose. However, any transfers with intent to hinder, delay or defraud a creditor may be set aside under the law against fraudulent conveyances. Also, transfers without receiving equivalent value and which render you insolvent or put you in the position of being unable to pay your debts would also violate the law. Thus, if you have been sued or are facing a definite liability or claim, it may be too late to make asset protection transfers. The time to do transfers is BEFORE you have any significant claims or lawsuits. Your asset protection plan will be custom to your individual situation. It can range from somewhat simple to the very complex depending upon the assets involved and the level of protection sought. Lawyer David Crockett has more than 30 years of practice experience helping California clients manage their wealth effectively. Moreover, he is a certified public accountant and is a licensed real estate broker. His background and experience give him the unique ability to develop creative methods of liability protection. 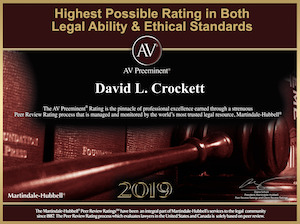 As a member of the American Association of Attorney Certified Public accountants, Mr. Crockett is connected with expert attorneys in all states who engage in asset protection law. This is beneficial to be able to obtain up to date information on the laws of other states since typical asset protection plans involve forming trusts or other entities in other states as well as in selected favorable offshore jurisdictions.